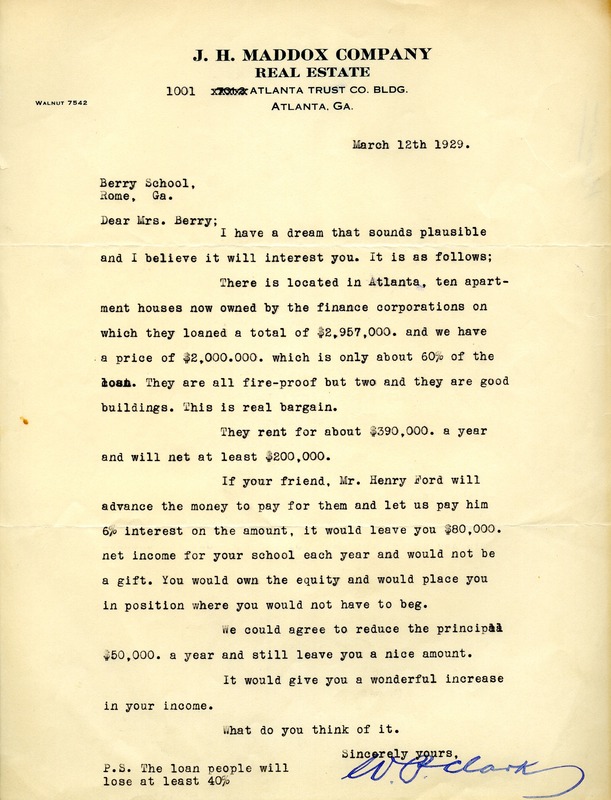 Clark proposes that Henry Ford fund the purchase of ten apartment houses that are available in Atlanta, which would provide the school with $80,000 annual income. 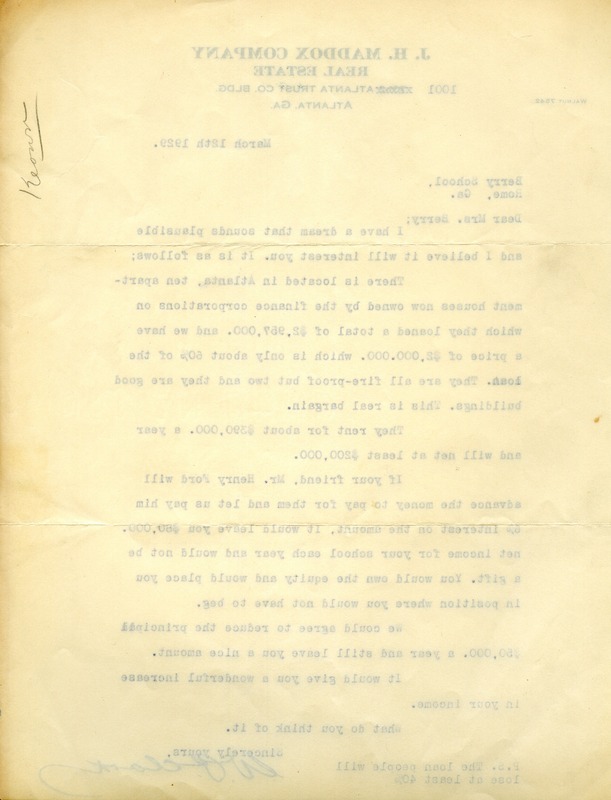 W. P. Clark, “Letter to Martha Berry from W.P. Clark.” Martha Berry Digital Archive. Eds. Schlitz, Stephanie A., Sherre Harrington, et al. Mount Berry: Berry College, 2012. accessed April 26, 2019, https://mbda.berry.edu/items/show/9786.